Taking care of your cat is an essential task and every pet owner must do it routinely. Cats that are well-taken care of are usually healthier, less irritant, and very neat. But cats are not the same. There are specific care routines that each cat demands. So it’s very important to understand these care routines. A big part of cat care is often grooming (How Stuff Works). Grooming is simply the process of keeping your cat clean, neat, and beautiful. Grooming has additional health benefits too. In light of this, it is very important for Persian short hair cat owners to understand a few grooming techniques. 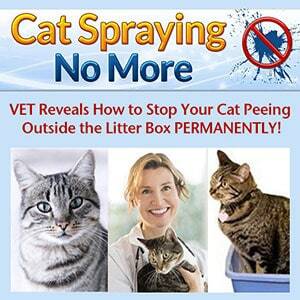 Start by cleaning the area around the cat’s eyes. Pay attention to any parasites including flees. Comb your short hair Persian cat at least thrice a week. Although short hair cats may not need a lot of combing, it helps to do it regularly. Trim the cat’s nails as often as you can. Plan for precautionary vet checkups at least once every three months. Well, there is nothing more important to a cat’s health than the food. Cats should not be allowed to eat anything. Feeding your cat with high-quality food will reduce any health risks. It will also ensure the cat remains calm. Most cats are strictly carnivorous. These are animals that eat meat (Wikipedia). Foods that contain animal tissues are therefore recommended. In addition to this, cats will eat differently based on their age. As you buy food online or at your local store, ensure it’s prescribed to the right age. And don’t forget to give your cat access to clean drinking water. Although cats don’t drink water constantly, it’s very important to make sure that it’s available when they need it. Even if your cat looks okay and healthy, you need to make sure that there is nothing wrong with it. Assessing the cat for common health issues is very important. This can take a few minutes at the vet so it shouldn’t be a big inconvenience. There are many cat diseases that will need specialized expertise to diagnose. This is why you need a veterinarian care plan to avoid any potential issues. Do You Need To Spend Time With Your Cats? It’s very important to spend time with your short hair Persian cat. If it’s a new cat, you will need to develop a bond with it. This will make care easier and fun for both of you. Even if you are somewhat busy, try and make a few hours of your day to spend quality time with your cat. Taking care of an exotic cat can be very challenging at times. However, as long as you get the grooming and the food right, you will have no major issues. Ensure the cat is also checked regularly by a vet. The great thing is that short-haired cats require very little attention.